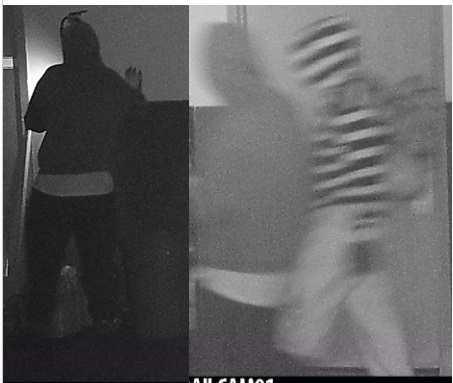 At approximately 2:45 a.m., on August 31, 2018, suspects were captured on video entering the Roblin Rink, through the steel emergency doors. The suspects were also seen on video attempting to gain access to an office. One suspect was wearing black sweatpants, a white t-shirt, and a black hoodie, with the hood pulled up. The other suspect was wearing a black and white striped hoodie, with white or grey sweatpants, and carried a backpack. Anyone with information about the identity of the individuals involved, is asked to call the Roblin RCMP Detachment at (204) 937-8054, or submit a tip.